This church is named after the patron saint of England. Built by convict labour in 1818, it is the oldest Anglican Church in South-East Asia. 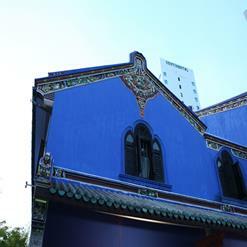 The building was designed by Captain Robert Smith, a military engineer whose oil paintings of early Penang can be seen in the Penang State Museum.